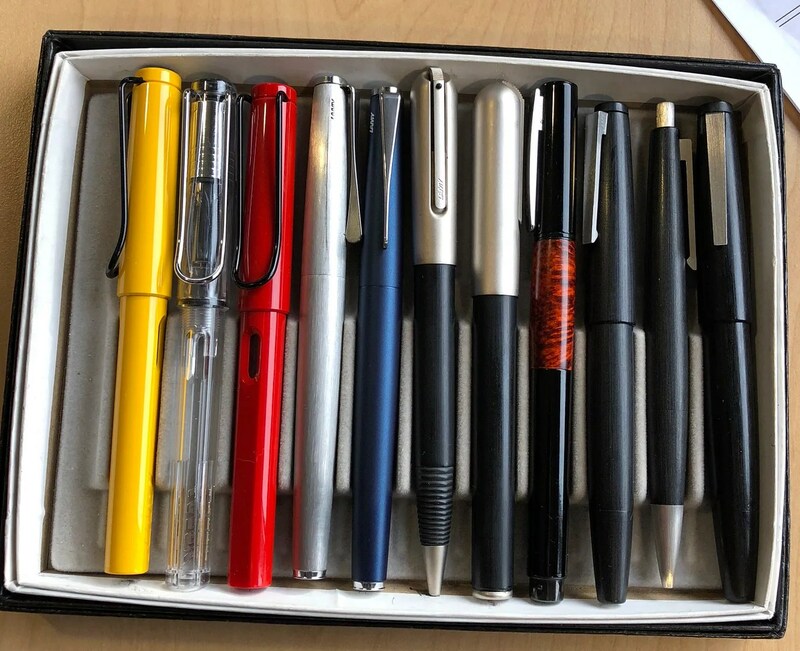 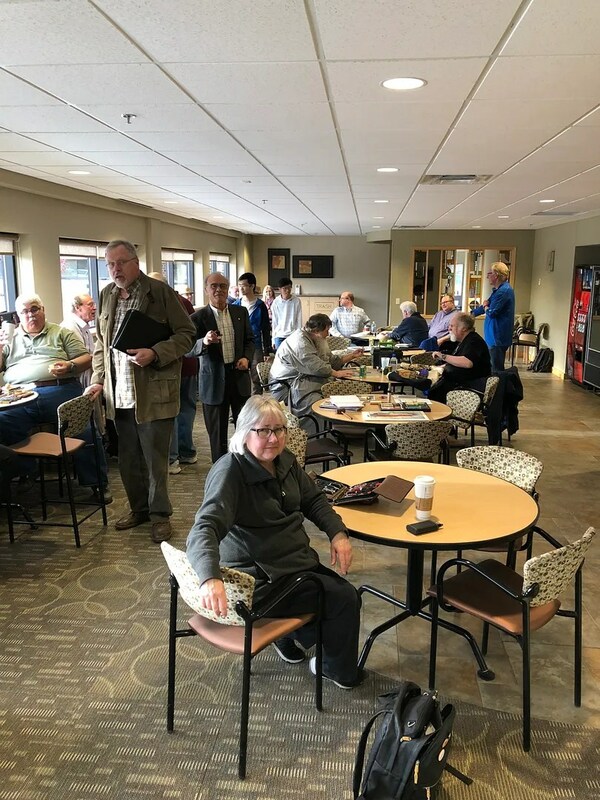 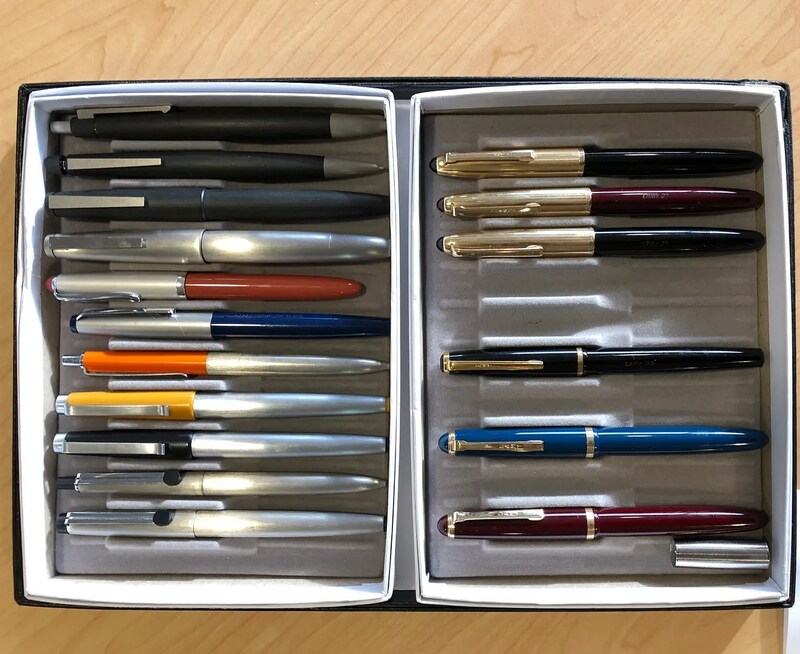 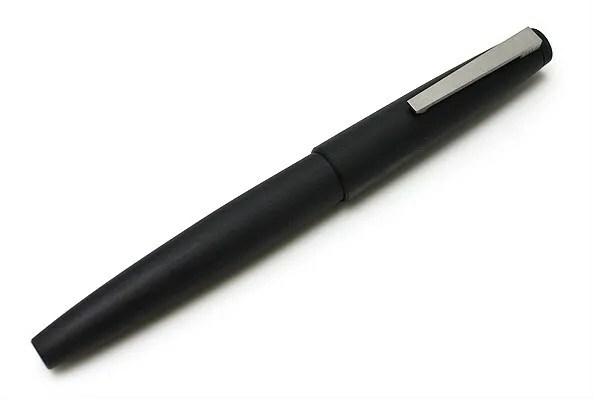 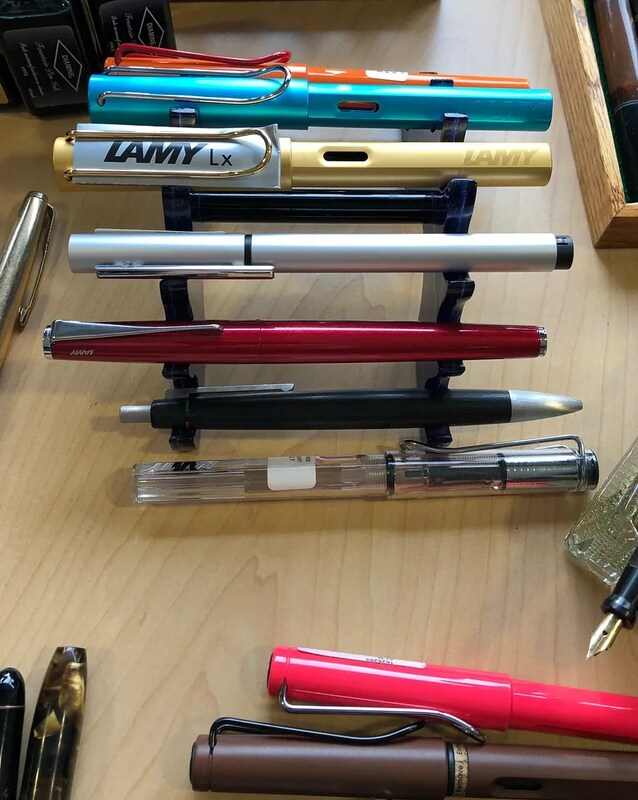 Members shared many examples of pens that they use often, but are not expensive collectors items. 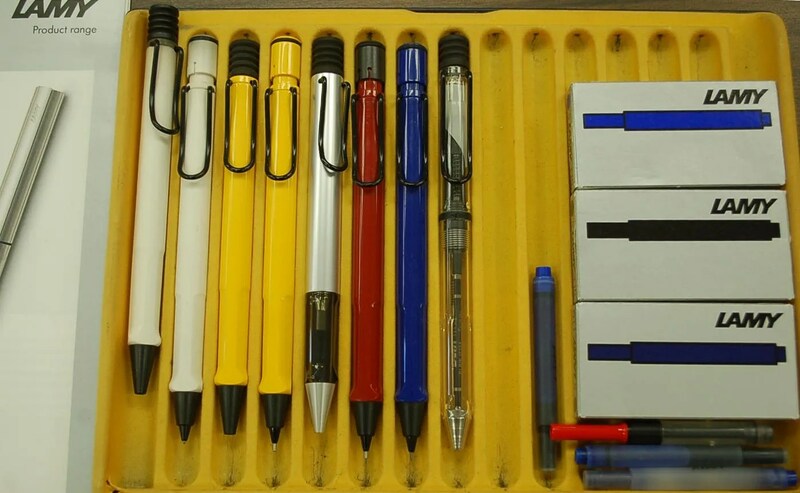 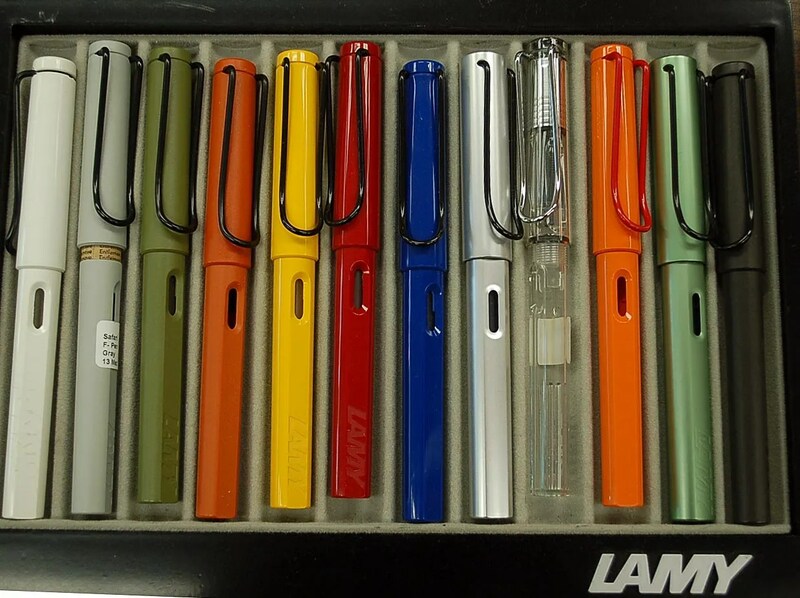 A few examples were Parker 45s, Sheaffer No Nonsenses, True Writers, Noodlers, and the legendary Pelikan Go. 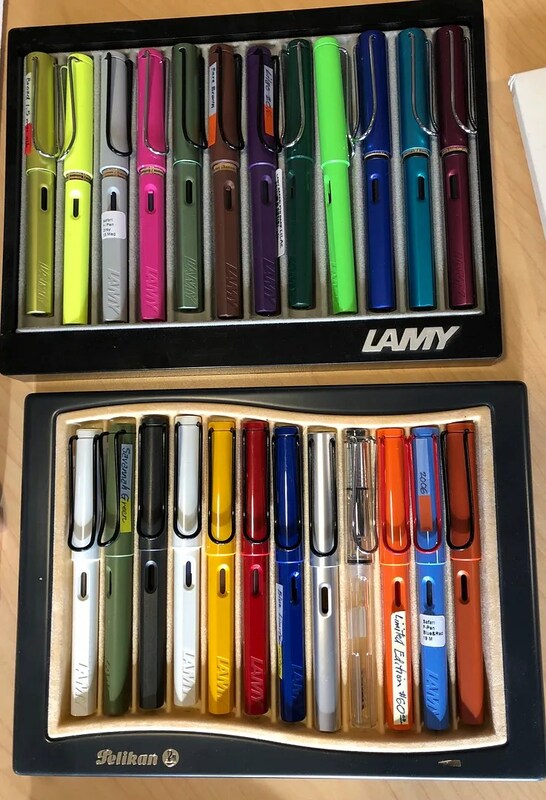 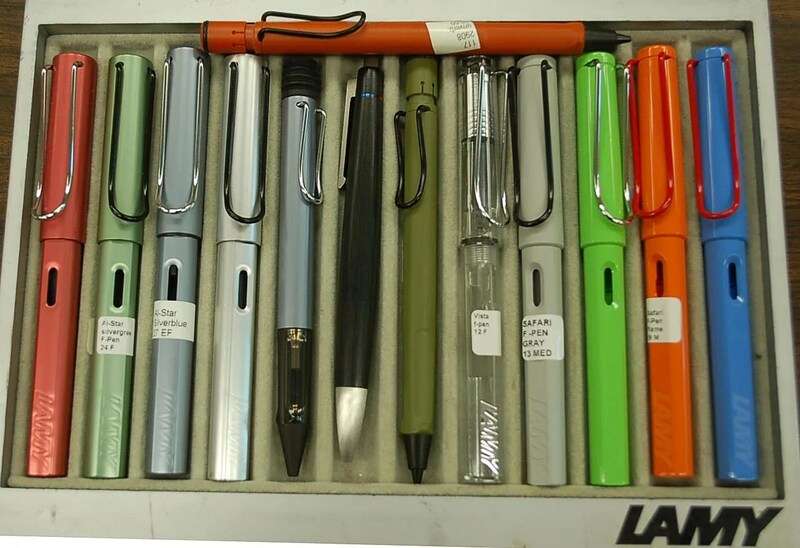 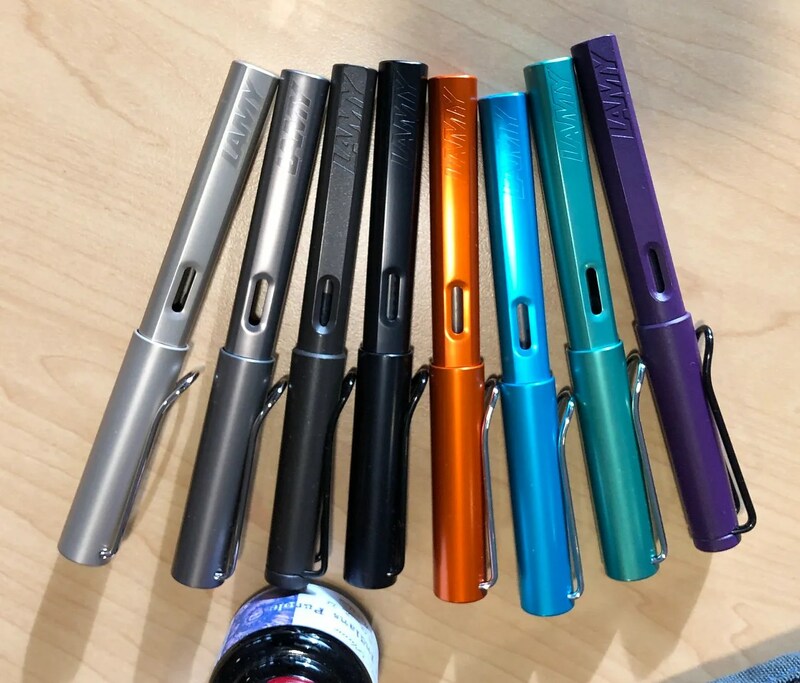 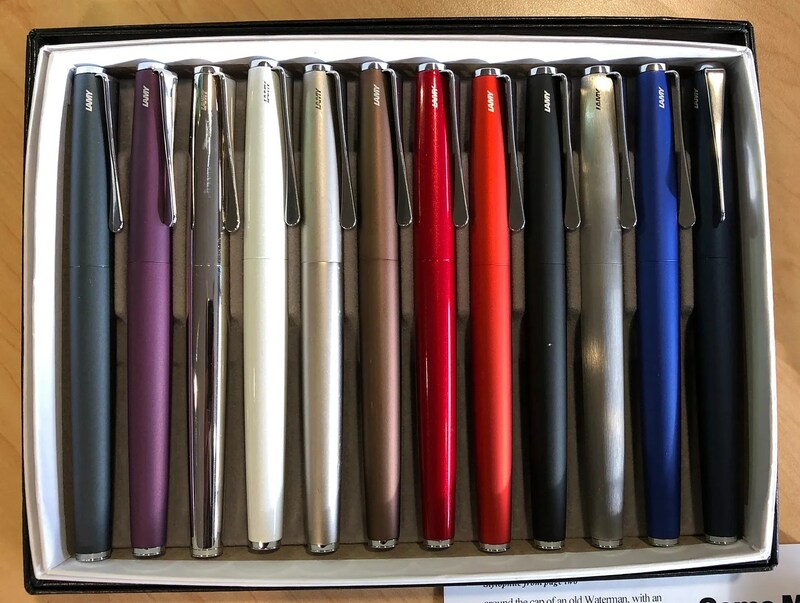 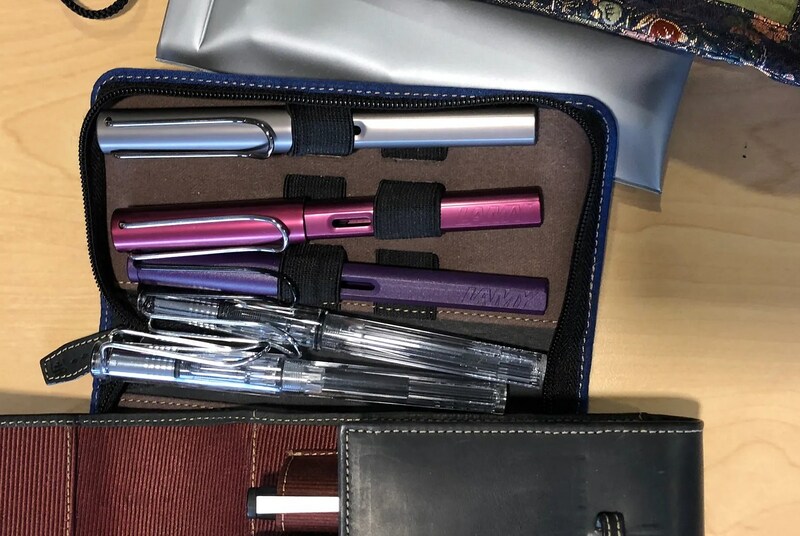 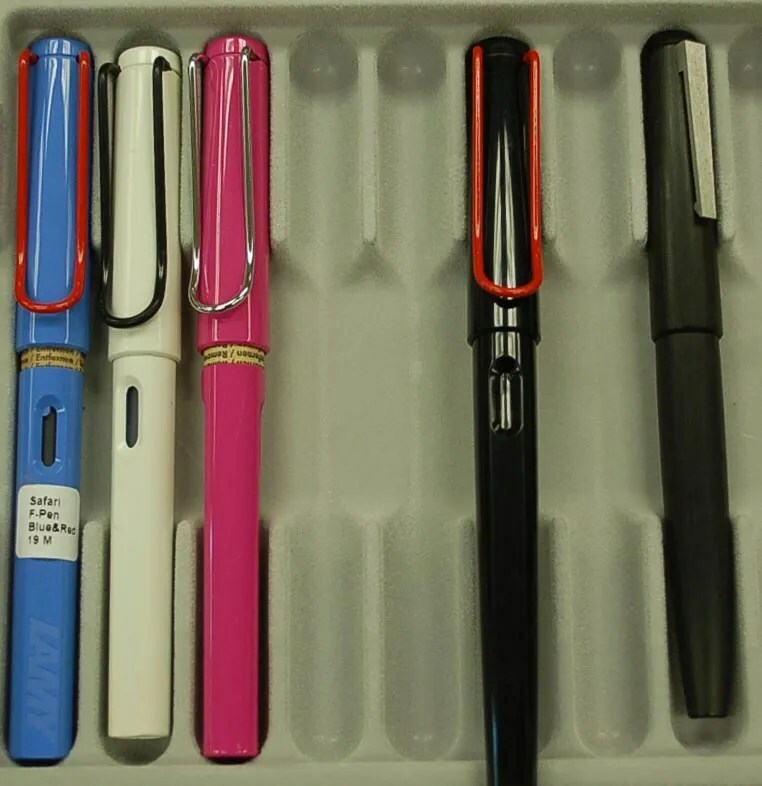 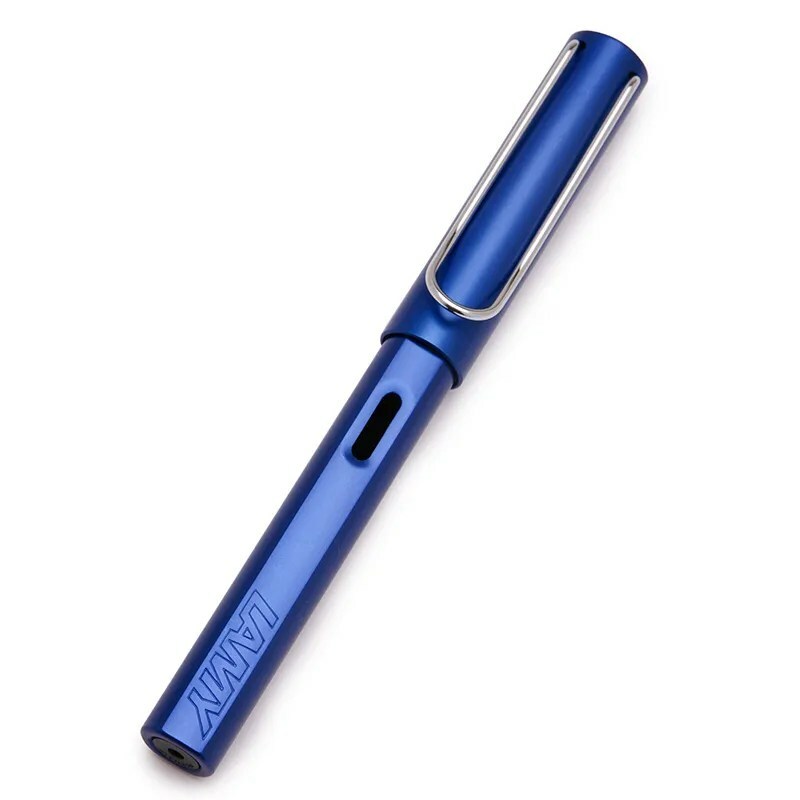 As for Lamy Pens, we were treated to some very colorful, and large collections. 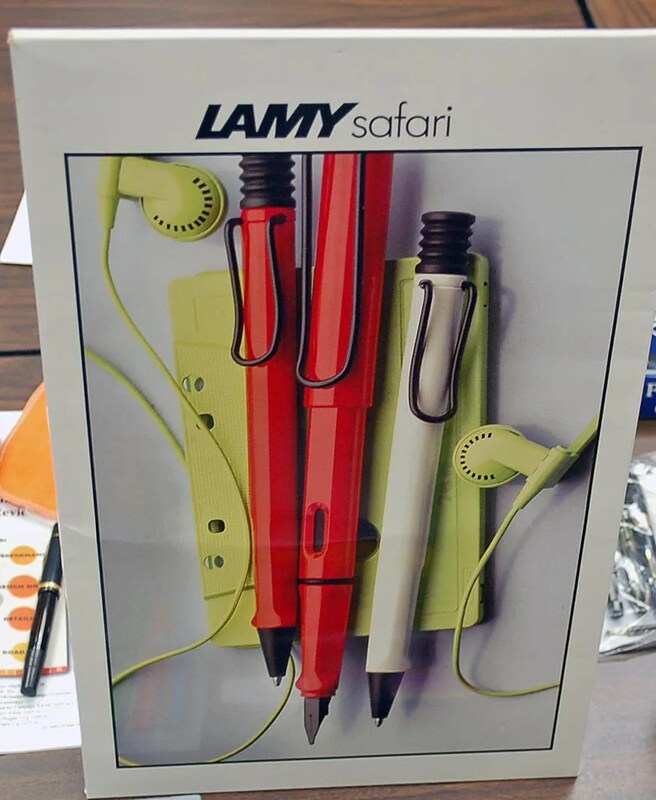 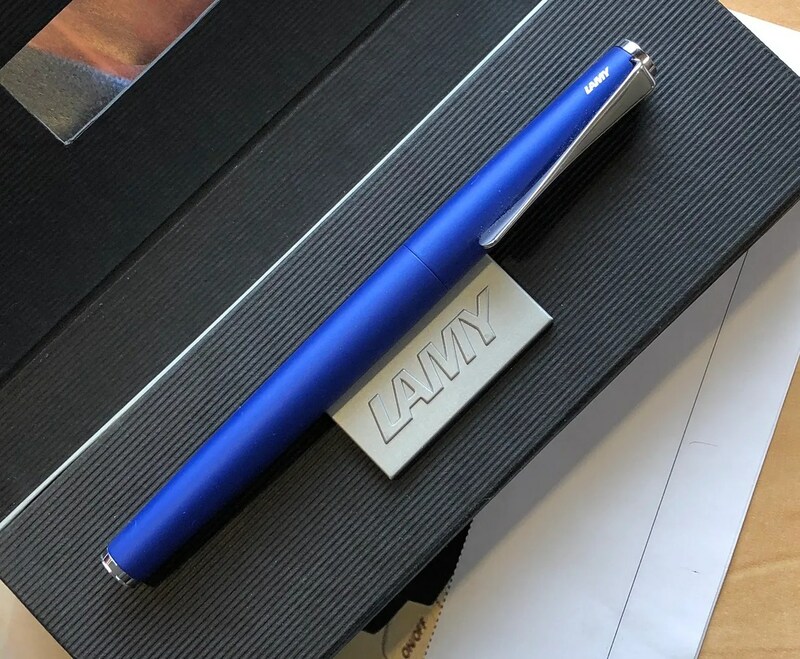 We also received Lamy Catalogs, showing current offerings. 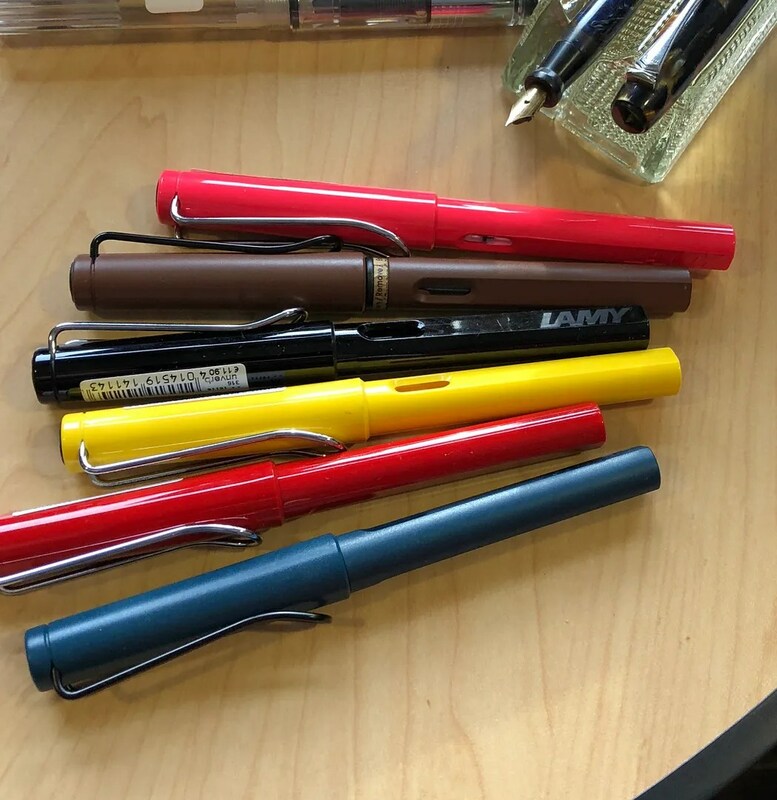 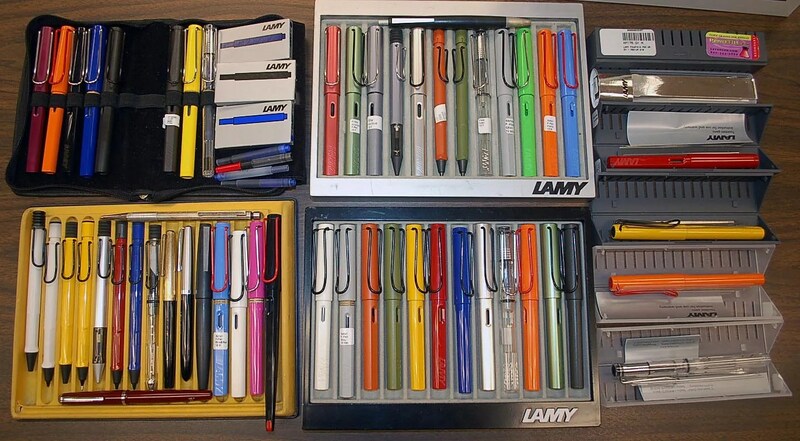 Here is a small sampling of some of the Lamy material brought by our members. 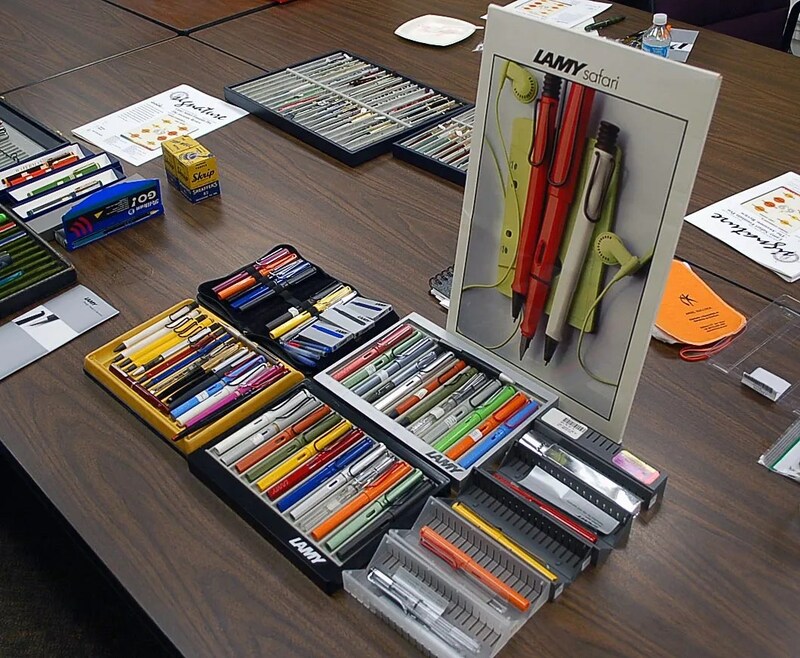 This month (August 2013) our meeting will be a 7:00 pm on the 16th. 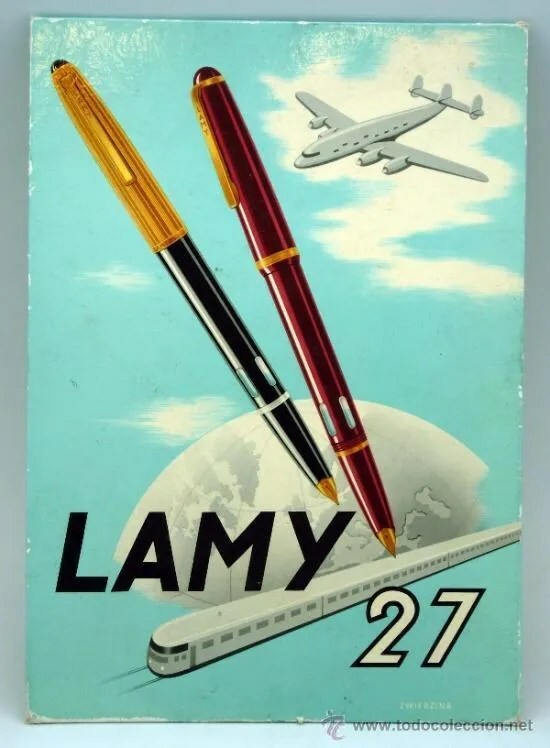 Hope to see everyone there!